Despite miserable records of failure some people and institutions retain public affection because of their grandstanding intentions. 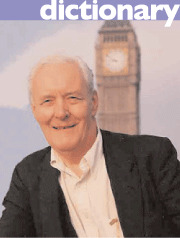 Tony Benn commands considerable public affection even though his penchant for nationalisation and high taxation would time travel Britain back to the stagflation of the 1970s. The NHS enjoys totemic status for a majority of voters even though most of developed Europe outperforms Britain on healthcare comparisons. The United Nations is the archetypal institution-of-convenience. Like every Miss World the UN wears a commitment to ‘world peace’ on its sleeve. The UN may have been guilty of the world’s biggest financial fraud [the oil-for-food scandal] and may have elected monstrous regimes like Sudan and Libya to its human rights committee, but most people still trust its good intentions. We are also encouraged to trust the good intentions liberalism of the EU. Of the EU Constitution the Spanish justice minister said: "You don't have to read the treaty to know it's a good thing." Tony Benn, the National Health Service, the UN and Old Europe prosper because their good intentions speak more powerfully than their performance (at least for the time-being). An emphasis on good intentions has been one of the liberal left’s greatest achievements. Liberal leftists have constantly captured the moral high ground by, for example, conflating the idea of social justice with high taxation. Global citizenship has become synonymous with multilateralism. The right protests by pointing to the poor performance of liberal nostrums but their arguments are smeared as mere bean-counting in a world where good intentions can matter more than good results. Conservatives should respond by declaring the idealism of their own favourite policies. The case for lower taxation shouldn’t just be rooted in obscure ideas of efficiency but as the best way of lifting poor families out of poverty. Educational choice should be sold as designed for every parent whose children are trapped in failing inner city schools. British Tories, in particular, need to embrace progressive language and a Reaganesque optimism. I agree about the Reaganesque optimism. Note though that it's important to frame the debate on your own terms, not those of your opponents. I would argue for positive language, not necessarily 'Progressive' language in the generally accepted sense. "We will be more socialist than the socialists" doesn't convince. At the last election the immigration debate suffered from being couched in the terms of the liberal left for whom any restriction on immigration is racist - "It's Not Racist to Set Limits" merely puts the idea in people's heads that it _is_ racist, or at least that someone thinks so. Much better is a positive message, eg "We will admit new immigrants on merit".